We are glad to have the Laura Chappell on this week’s episode, sharing her knowledge and expertise on all things packet analysis with our audience. 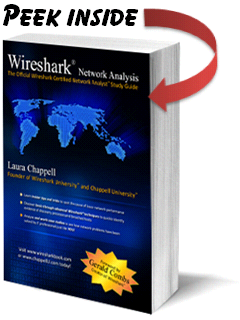 Laura has just released her latest book, Wireshark Network Analysis: The Official Wireshark Certified Network Analyst Study Guide. She shares with us some tips and tricks on how to best use this free tool to make our networks work better. Next up is Todd Lammle, an author who has trained thousands of us to pass the Cisco CCNA exam with his many books and training programs. 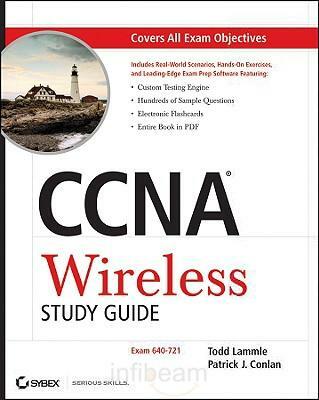 He speaks with us about the Cisco CCNA Wireless exam and his latest book that helps prep for this vendor-specific wireless exam. Laura has been around packet analysis… well, forever… you can find her at one of the following sites, or on twitter http://twitter.com/laurachappell. She has lots of sample chapters, and other webinars and online training available. Her latest project is working on the new Wireshark Certification program. If you are into networking at all, please follow and learn from one of the industry’s best packet-analysis gurus. Laura makes learning network analysis actually kind of fun. Her energy and enthusiasm for the topic is infectious. Todd’s new book isn’t quite out yet. But look for it at your regular book resellers coming soon. If you have ever wanted to pass your Cisco CCNA exams, you’ll be wanting to get a hold of one of Todd’s CCNA books. He’s taught and prepared thousands of folks to be CCNAs. He has a writing style all his own, open, fun, and just a bit irreverent.